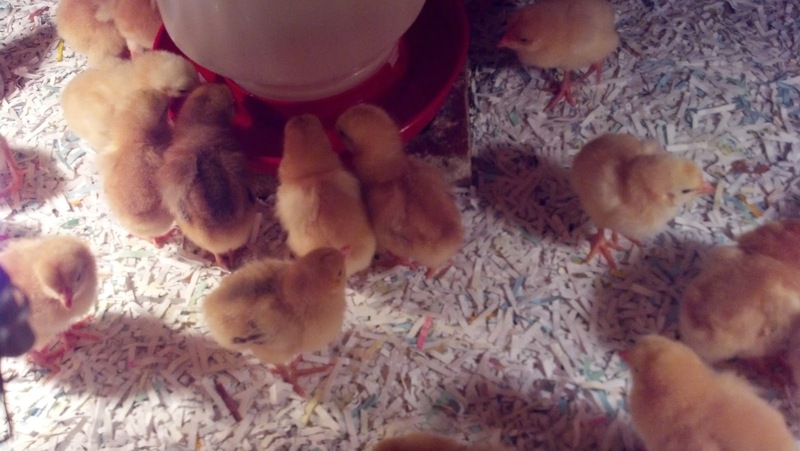 With an early morning call, we received our replacement chickens. 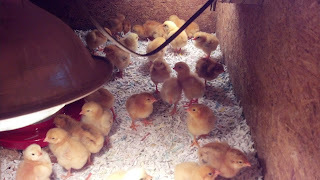 We were extremely lucky that our hatchery had enough to replace the ones we lost. To say they were accommodating would be a complete understatement! They were not only able to replace what we lost, they added a few extra! We love these guys!! Since little Hamp was sick today, someone was at the house all day to check the new babies. We checked them pretty often through out the day, praying that last week's disaster would not happen again. We'll keep you posted as they grow!